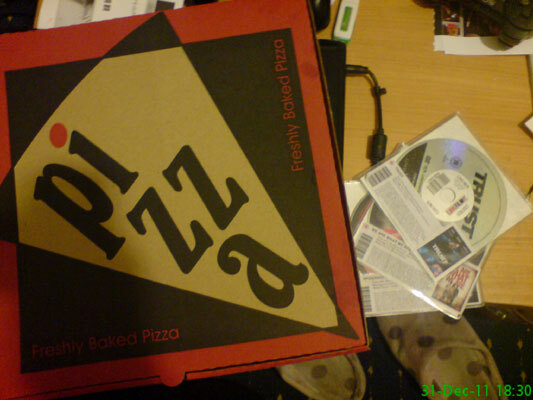 After a few nights out in a row I'm quite happy to spend New Years Eve quietly at home with a takeaway and a selection of DVDs to work through. Hopefully this is a suitably dull photo to round off 2 years of my life. 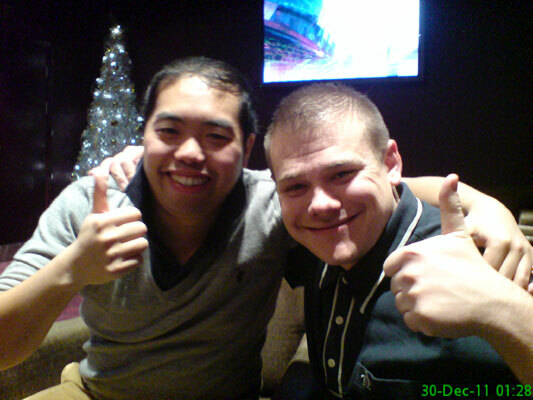 See you in 2012! The winning quiz team! 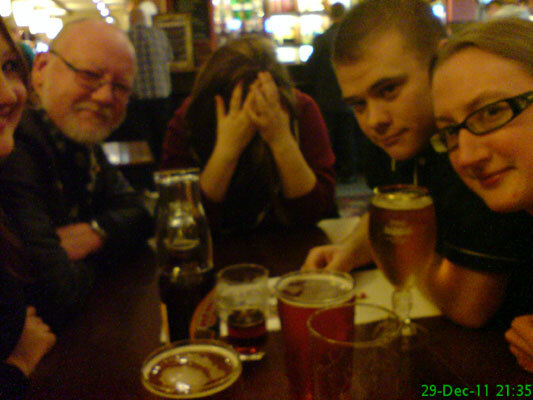 Ali, Dad, Claire (too ashamed to be seen with us) Michael and me. We finished in 1st place, winning � between us. Not a bad effort! 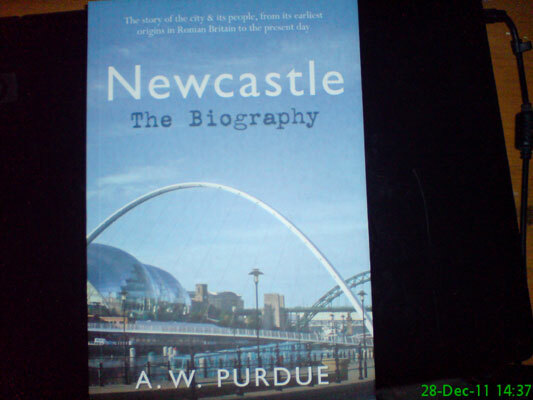 My first "Christmas money" purchase - a book on the history of Newcastle upon Tyne. I love local history and maps so I'm really looking forward to reading it. 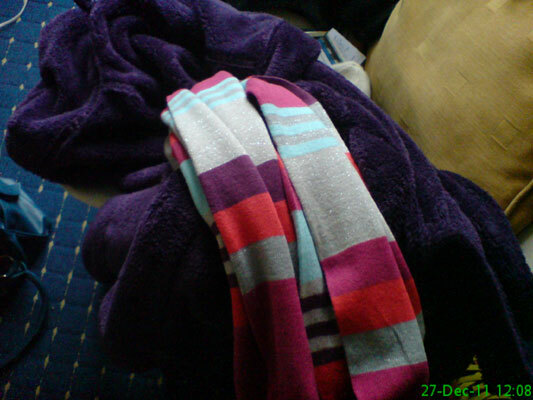 Some of my Christmas presents: a scarf from Mam and a dressing gown from Auntie Sue. They should keep me nice and warm which means I can turn the heating down! 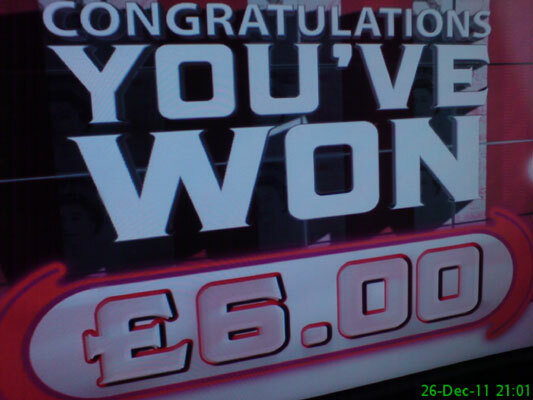 A Boxing Day trip to The Station and a win on the quiz machine. It was almost � but we weren't quite clever enough. 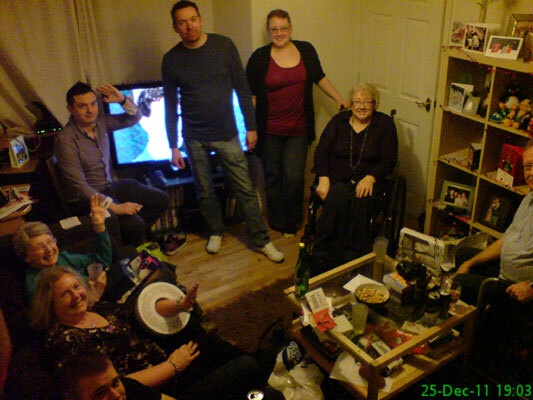 Ali and Stu hosted this year so we all shoehorned ourselves into their living room. From bottom left: Michael, Auntie Sue (with ring shaped tin around her arm for some unknown reason), Gran, Nasser, Stu, Ali, Mam and Chris. 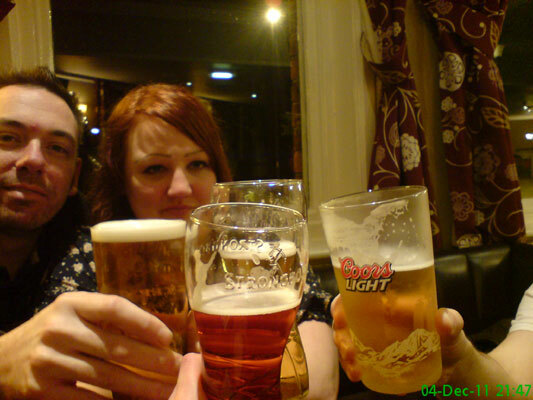 This year we have our traditional Christmas Eve drinks in town. 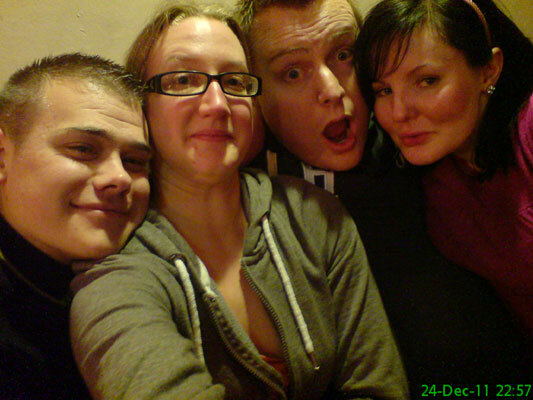 Unfortunately most places close early so Michael, myself, James and Nicole end up in the Rose & Crown watching some amazing karaoke. Last day at work before Christmas and all of my work is finished. Great, right? WRONG! Check the time stamp. We were in until 5pm. It was an extremely long day! 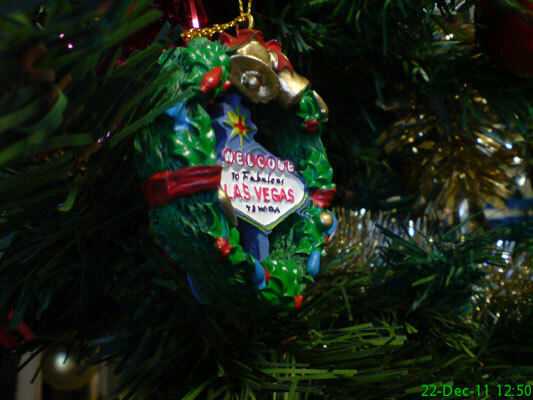 The decoration I brought back from Vegas for our work Christmas tree. 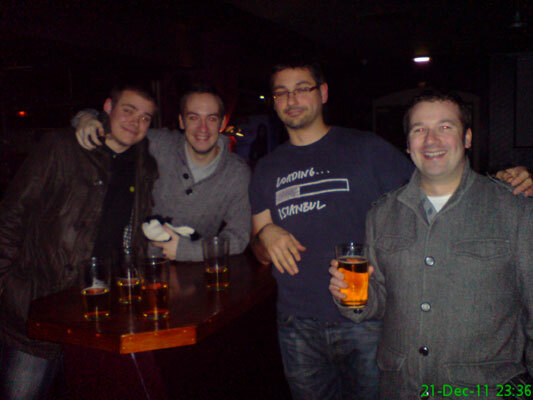 An Englishman, a Canadian, a German and a Scotsman walked into a bar.. 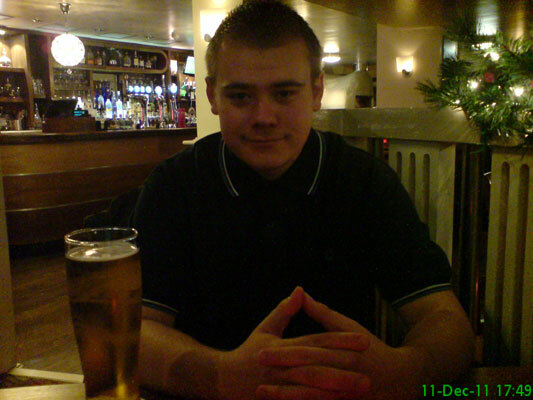 Drinks in The Lounge after watching Newcastle lose to West Brom. 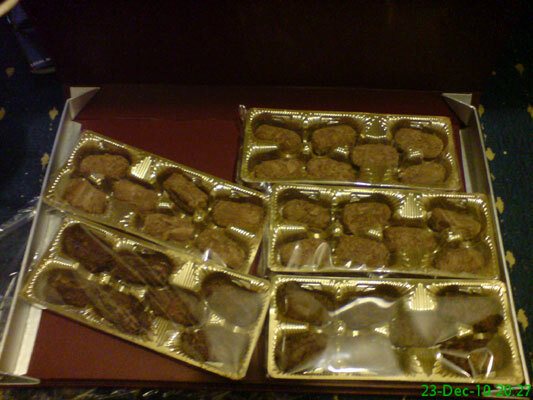 Remember the amazing truffles from 23 December last year? (Go on, have a look!) 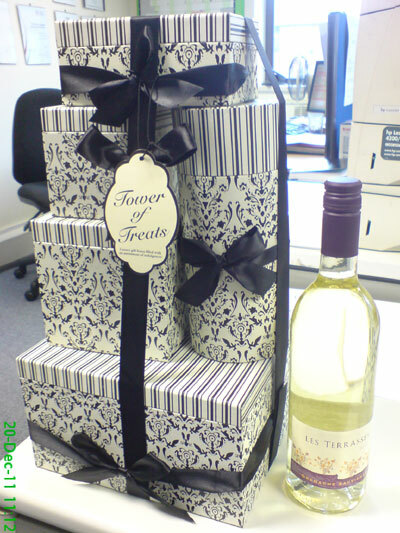 Here is this year's gift from the same company - a 'Tower of Treats' including biscuits, sweets and praline. The wine was another Christmas gift received through work. 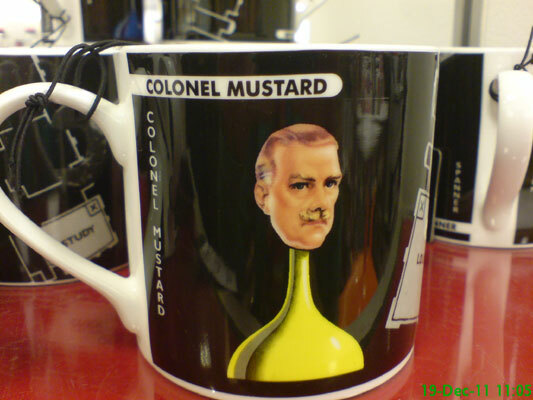 I find Cluedo highly amusing so this Colonel Mustard mug caught my eye in John Lewis as I finished off my Christmas shopping. After the bus taking AGES to get us to our work Christmas party at Lumley Castle, Jen and I were pleased when the return journey went very smoothly. Unfortunately the bus then broke down in the middle of the Central Motorway and we had to wait half an hour for a replacement with the police refusing to let us off the bus due to traffic. Just what you want when you're tired, cold and about 2 minutes from your destination. 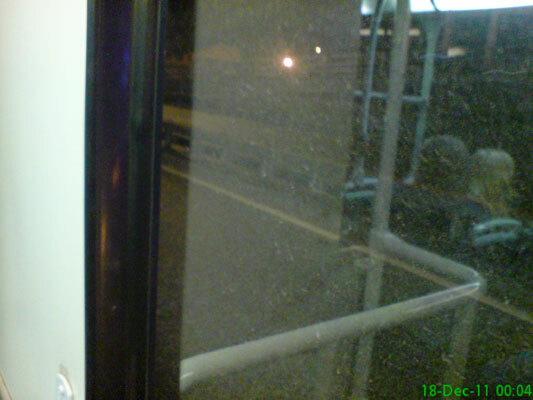 This was the view out of the bus window during the wait. Having been picked as Member of the Match I get to sit in the Directors Box and get my name on the LED screens at half time. 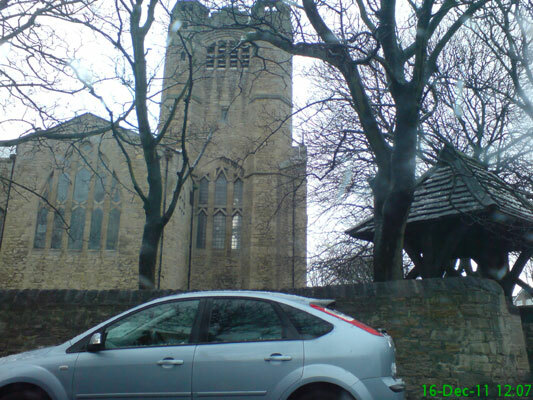 St Andrew's Church in Roker, where we attended a lovely service for Helen's funeral. 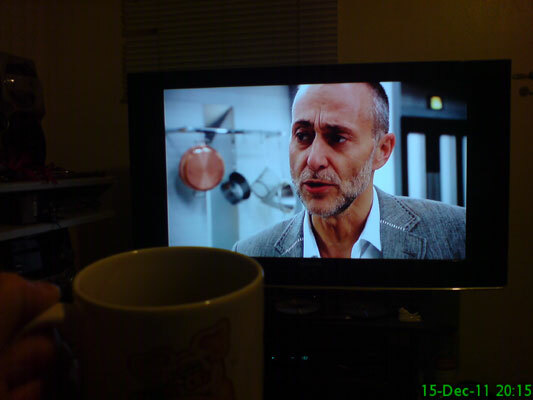 The final of Masterchef: The Professionals, featuring the lovely Michel Roux Jr. I watched with a mug of hot chocolate as Ash beat Claire and Steve in a brilliant final where any one of them would have been a worthy winner. 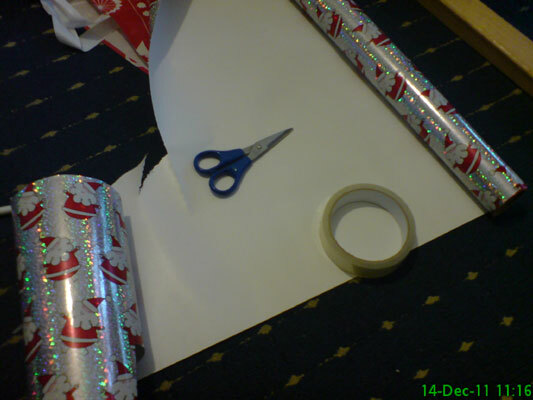 Three simple things: sticky tape, scissors and wrapping paper. Yet somehow they're guaranteed to increase my blood pressure and rage to dangerous levels. Good thing I haven't got much left to wrap. 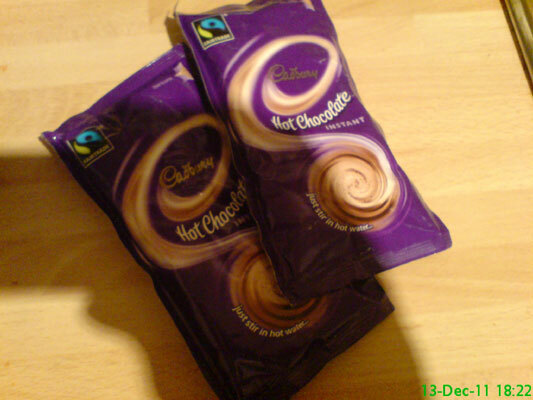 Some sachets that I've had at work for a while and decided to bring home in case I fancied one over the festive period. If only the kettle wasn't broken. 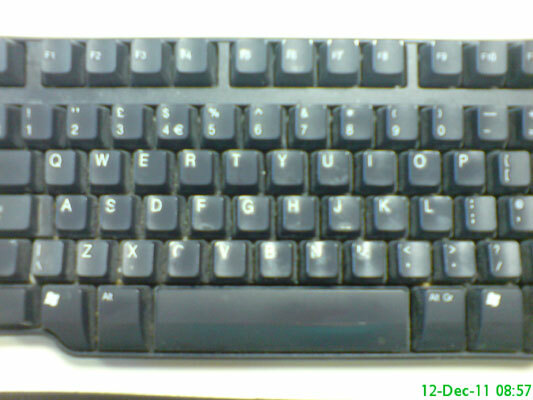 Another exciting day at work typing away on a fairly dirty keyboard. Michael in the Waterline Bar. 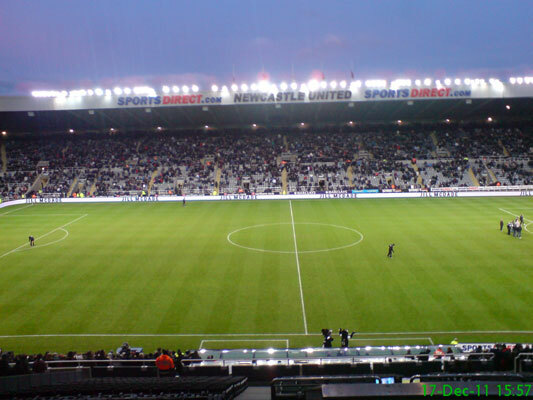 This is part of our everlasting quest to visit different pubs and bars in Newcastle. 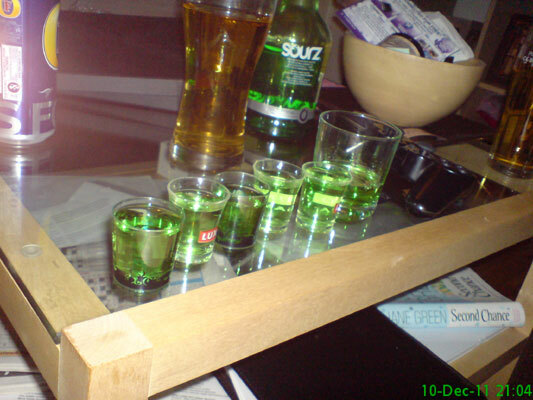 A visit to Ali & Stu's and a round of Apple Sourz. 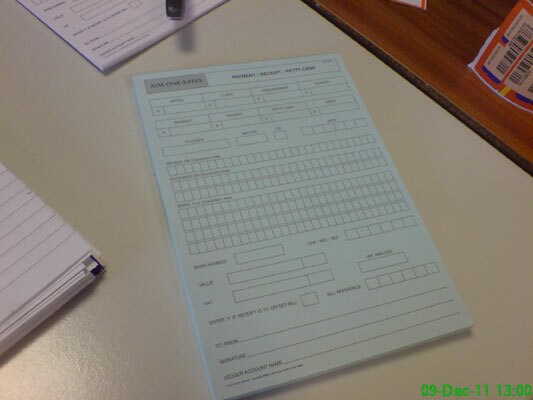 Boring Friday: this is the pad used for client account cheque/TT requests. 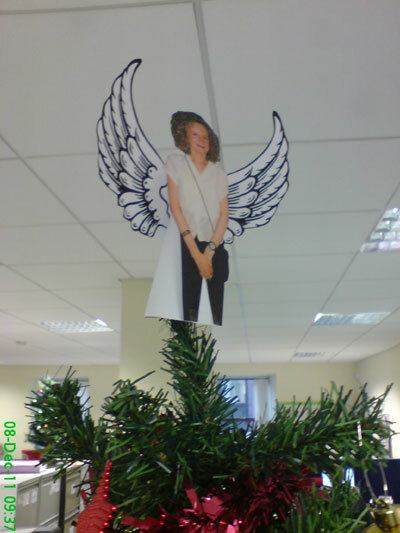 In previous years Heather and Marie have sat at the top of our Christmas tree at work. This year Nicola gets to show off an incredible Kevin Keegan-esque hairstyle from her younger days. All that's missing is the shellsuit. I had to go for some blood tests and managed to snap a sneaky photo of the empty bottles when the nurse slipped out the room for a minute. 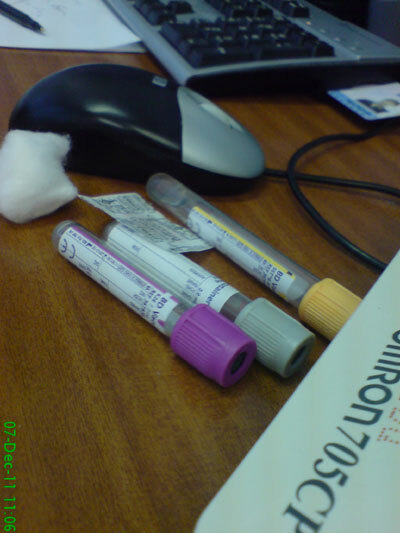 I was a little concerned about how it would come across if I asked to take a photo of vials of my own blood. 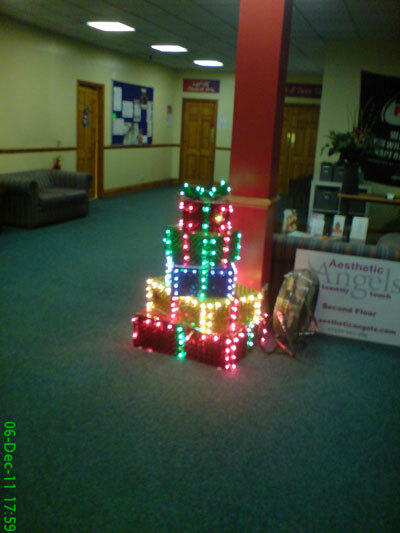 Some brightly coloured present-shaped decorations in the gym. 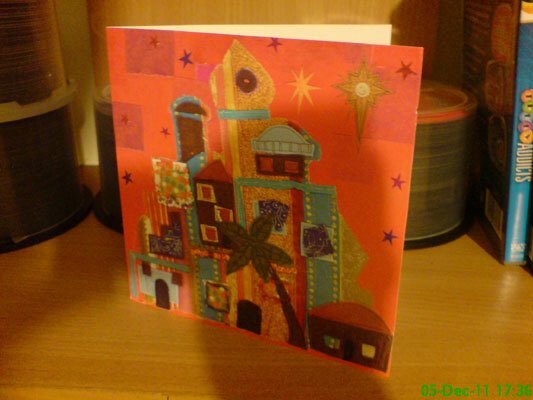 Our first Christmas card, from Rachel. A toast to Chris' daughter Helen, who has tragically passed away. 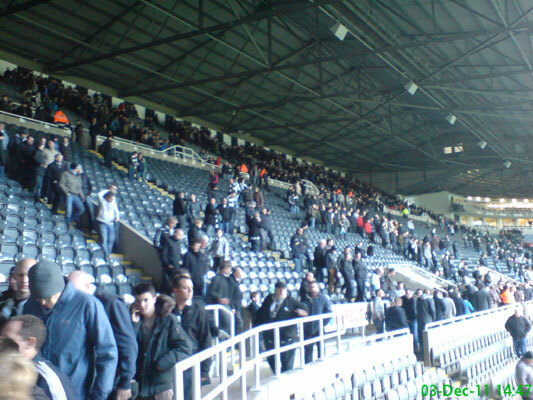 Dejected fans leave the Gallowgate End after a defeat. For once not something I'm going to eat, but rather a charitable donation. 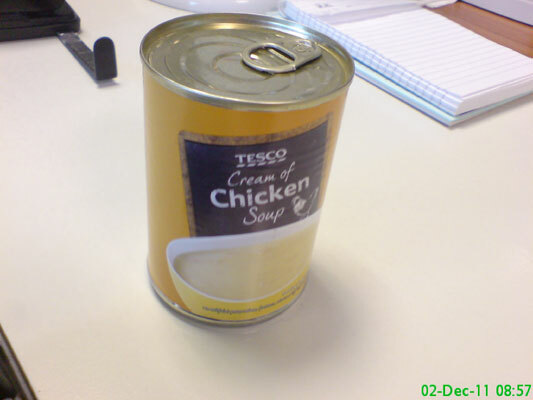 We had 'I Can Day' at work where everyone brought in tins of food to donate to homeless people. David Patterson, who died a year ago today. 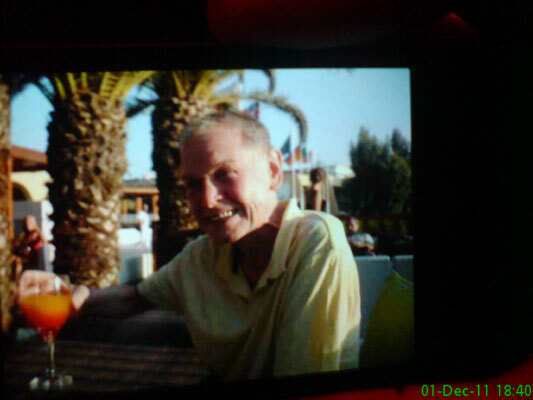 Graham and Stu arranged a pub crawl around his favourite places to celebrate his life.